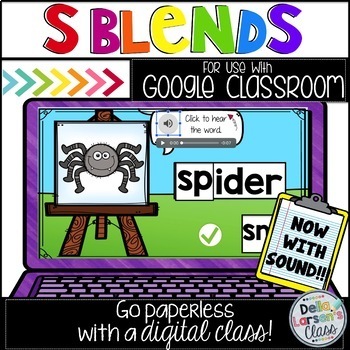 Learn Consonant Blends with Google Classroom! Use technology in your kindergarten and first grade class to help you assess consonant blends knowledge. 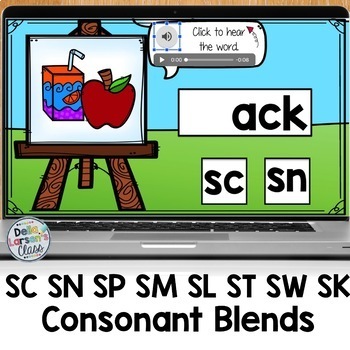 This resource has 64 slides with the consonant blends SL,SC,ST,SN,SM,SP,SW, and SK. Google Classroom is a fun way to help your kindergarten and first grade students practice and learn consonant blends. This bundle is perfect for small groups intervention, literacy centers, independent practice or even for homework. This resource has 4 different Google slides. Assign them one at a time or all together. Each set has 16 self-checking slides. Once the student moves the blend they will see if they are correct of incorrect. Provide your students with daily phonics instruction to increase reading fluency. This digital resource has clear images so your students won’t become confused. 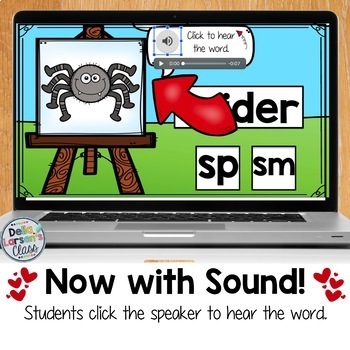 There is a sound feature that will identify unknown vocabulary so it’s perfect for your SpecialEd and ELL students. Google Clssroom is perfect for Chromebooks. Building phonics skills increases reading fluency and builds confident readers. 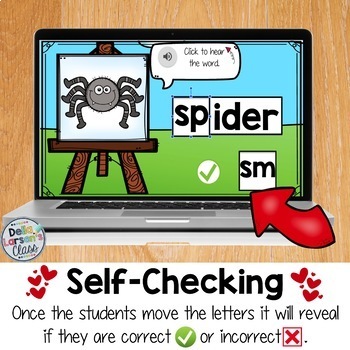 Your students will have so much fun on their digital device using this interactive literacy center and word work resource. It's never too early to embrace technology. The product has 64 interactive slides. Perfect for students just beginning with Google. Use your laptops, Chromebooks or iPads and ignite your literacy centers with paperless interactive word work. Let’s embrace technology with beginning readers. This is compatible with Google Drive. When you purchase this you will receive a link in a PDF file. Click the link to access the product. Disperse to your students via Google Classroom or a Google Drive Shared folder.